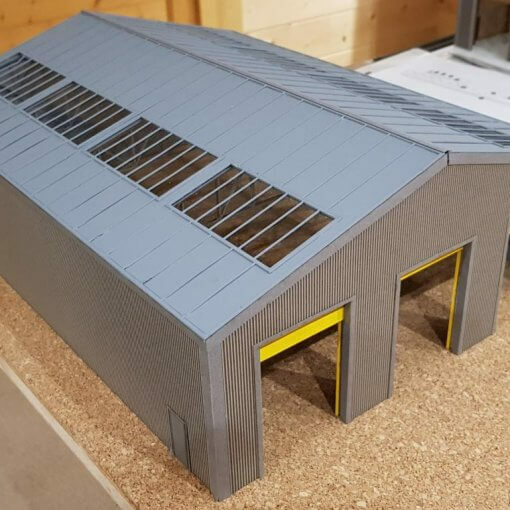 Now available to the RLL-620-3RS Series depot shed is the availability of the depot as a through road kit. 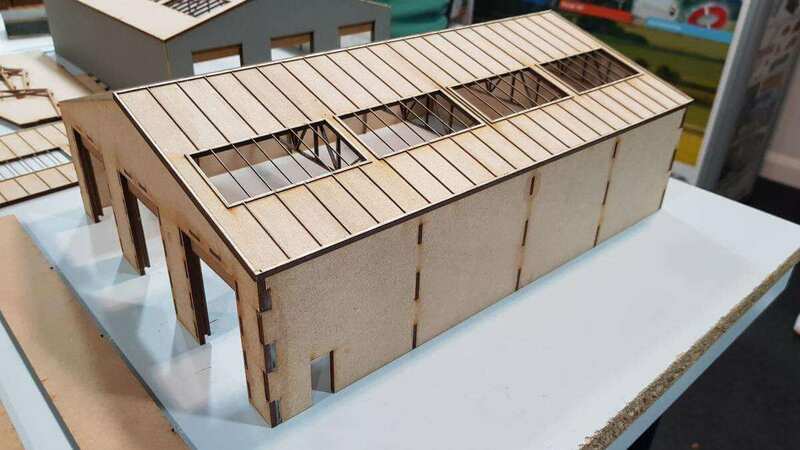 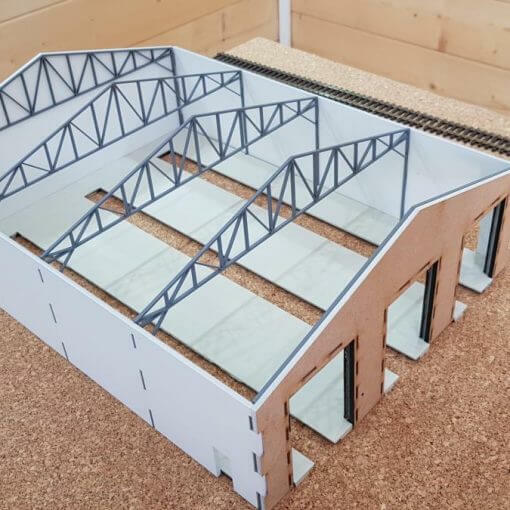 It is a 1 engine length OO gauge depot kit that is made from MDF, card and acrylic. 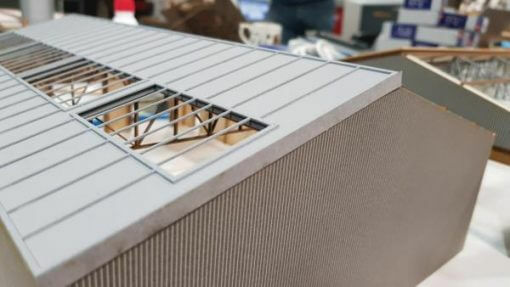 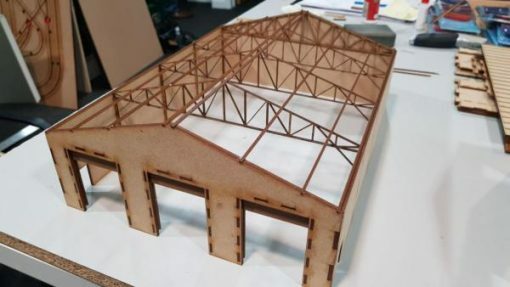 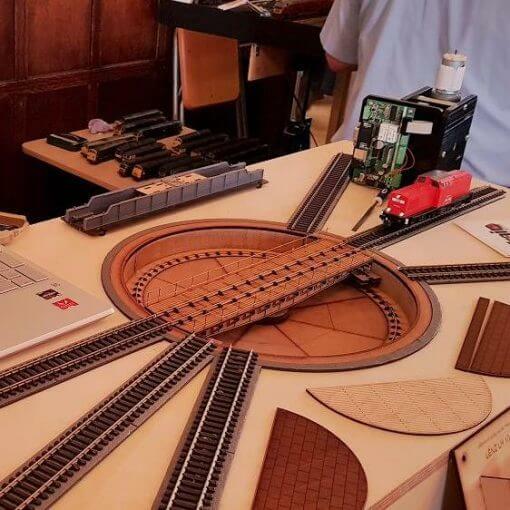 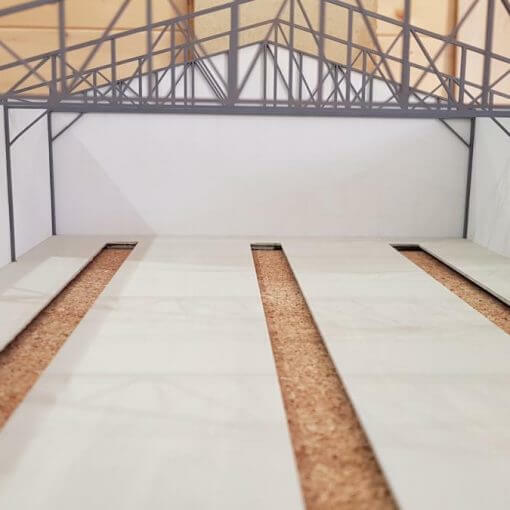 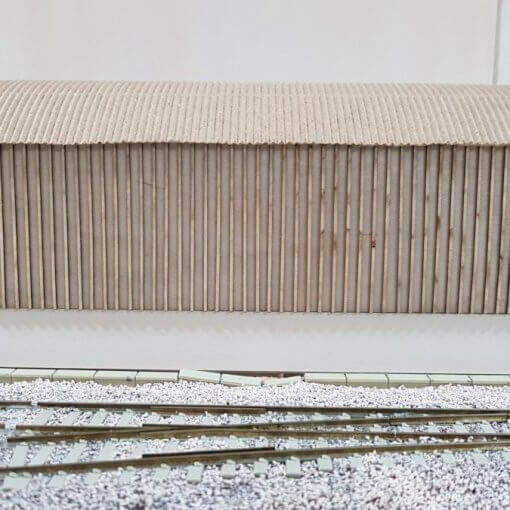 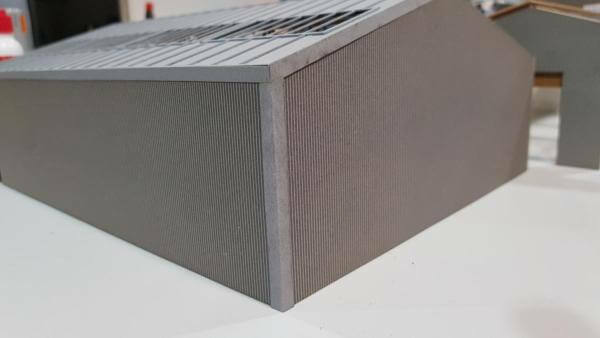 If you already have a base down on your layout ready to fit a diesel depot, then this laser cut OO gauge diesel depot 3 road through road kit is your ideal purchase. 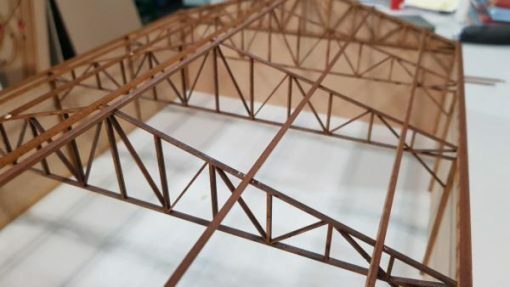 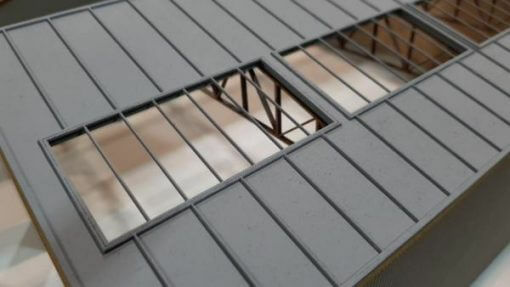 The skeleton framework interlocks for a nice fit and with the roof trusses giving that extra support across too. 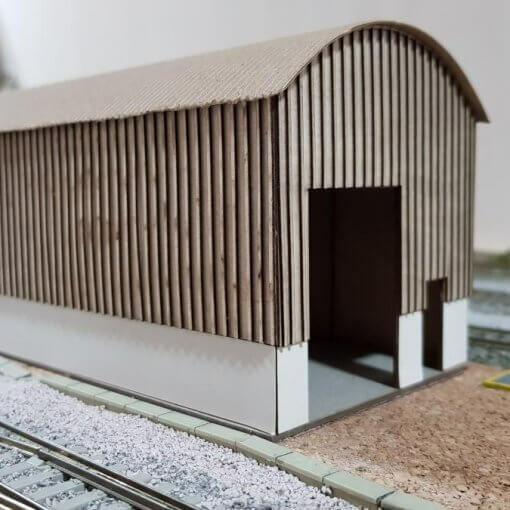 Although when we did the video series on how to build the shed, the through road kit wasn’t available, so it is a simple case of replicating the entrance end on the video to both ends for this kit. 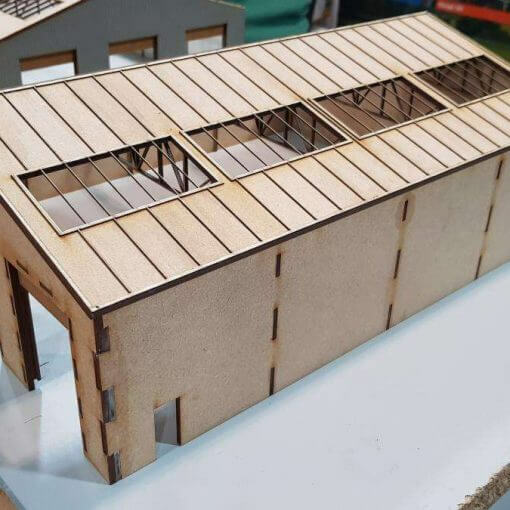 We’ve gone that extra mile and created an instruction video for our depot kit. 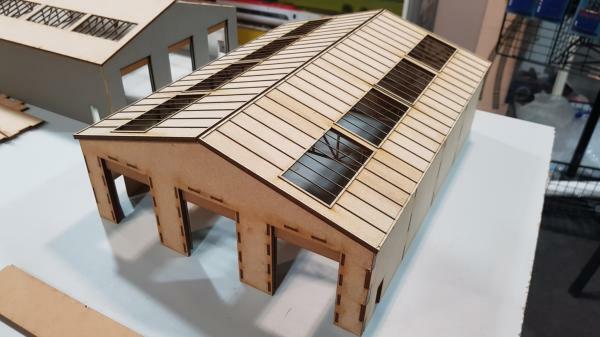 You will soon have your very own depot taking pride of place on your layout.